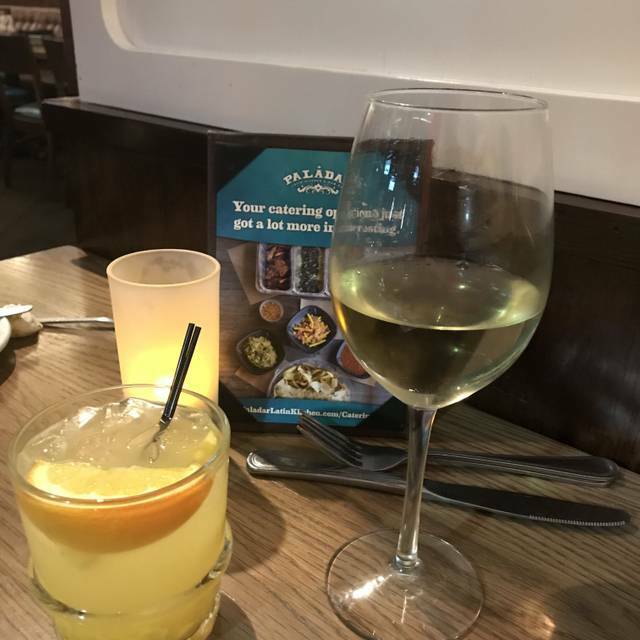 You must make reservations at least 5 minutes in advance of the time at Paladar Latin Kitchen and Rum Bar - King of Prussia. Covered garage parking located directly behind our restaurant. 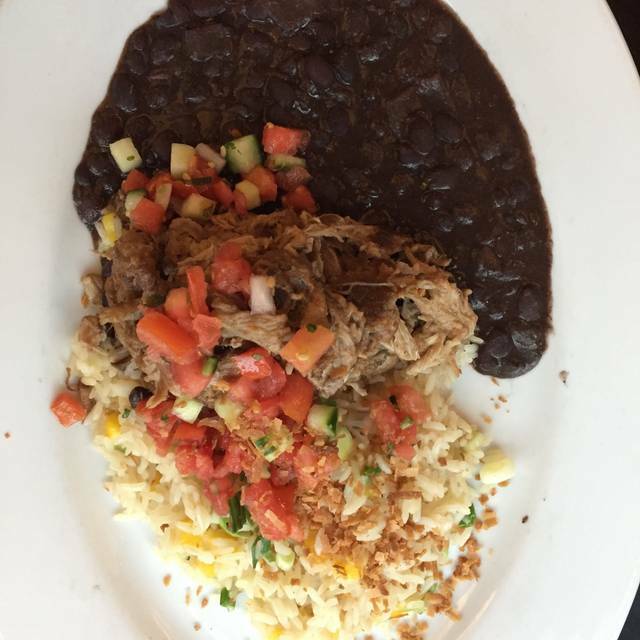 Catering: Bring the flavors of Latin America to your home of office. Ask to speak with our private events & catering manager for for details. Private Dining: We would be delighted to host your party at Paladar or cater an event at your home, office, or other venue. 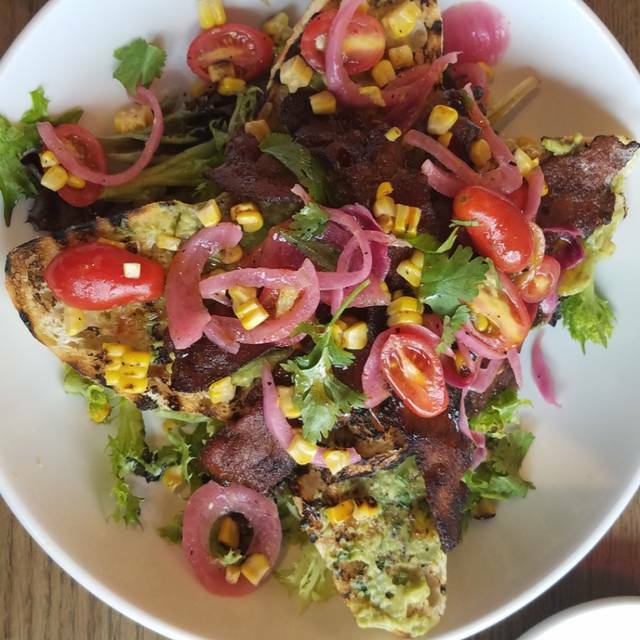 Your guests will love discovering the flavors of Latin America while enjoying time with friends and family or with colleagues. Ask to speak with our in-house private events manager for for details. Paladar Latin Kitchen & Rum Bar is a fresh, colorful and fun Latin American restaurant experience inspired by Central & South America, Cuba and the Latin Caribbean. With guidance from our warm and welcoming staff, our guests discover the bold flavors and vibrant cultures of Latin America without leaving their comfort zone. Our approachable menu features freshly prepared guacamole, slow roasted and grilled meats, fresh seafood and homemade salsas. The rhythm of Latin Music sets the tone at our unique rum bar that offers fresh muddled Mojitos, over 90 selections of Rum and an affordable and exciting wine list. Thank you for choosing Paladar, we are excited to host you. Please note we will be serving a Latin Brunch buffet on Mother's Day from 10am to 3pm. 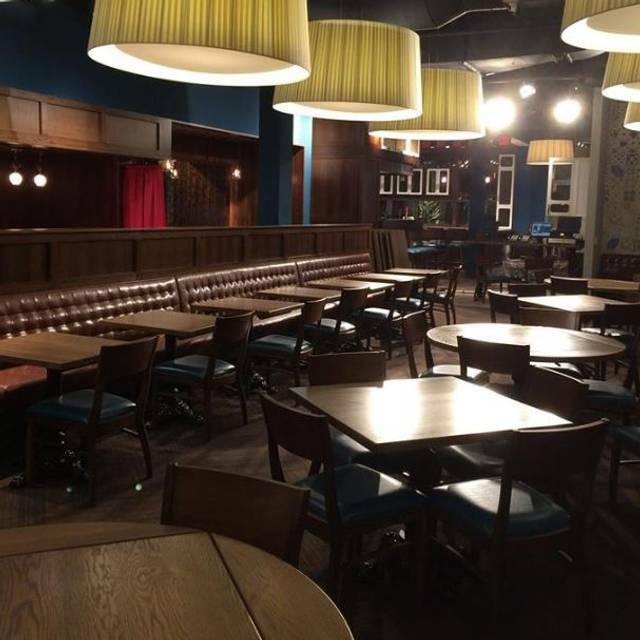 The buffet will include traditional breakfast items with some Latin flair. Pricing is $30 for adults and $12 for children. Thank you for choosing Paladar, we are excited to host you. Please note we will be serving a Latin Brunch buffet on Easter Sunday from 10am to 3pm. The buffet will include traditional breakfast items with some Latin flair. Pricing is $30 for adults and $12 for children. I have been at Paladar before and it was excellent. This night was far from it. The service was poor - it took an inordinate amount of time to get drinks and even a glass of water. My friend and I split the Plantains which are normally delicious and a favorite. That night they were hard and cold. We also split the mixed grill which is another go-to and the sausage was burnt and dry as was the chicken. The steak was decent although we asked for medium rare and it was medium. Before we got our meal we each ordered a glass of wine and didn't get it until the middle of our meal. I'm not sure if there is a new chef or a substitute chef that night but I am sorry to say I was extremely disappointed. Typically, I really enjoy this restaurant and would recommend It. This visit was extremely disappointing. After being sat I waited about 20 minutes and then told the host we didn’t have a server. It took another 10 minutes to be greeted. Another 20 to get our drinks. The server was not attentive and I didn't get the side I ordered. The prices aren’t crazy for the area but when paired with the horrible service makes it much more then you should be spending. Even after telling management how long we waited they didn’t offer to do anything or even apologize for the slow service. It took 2 people over 2 hours for lunch and we weren’t in a rush but it would have been nice to have at least had drinks while waiting. I’ll rethink going here again when previously this was my favorite spots in king of Prussia. Food, drinks, and service was great! Only minor thing I would consider for next time is if you are going in a group of 5or more, maybe ask for a seat not in the middle. The restaurant was very busy, and unfortunately the table we were seated at was surrounded by other tables which made it hard to get to the restroom or to go to the bar. Overall though, it was fun and a good experience to try something new like Latin cuisine. Always a good time there really enjoy the various ways they dress up the guac. Great drink options and fun environment. Great service, but they kept messing up my steak. My request was medium rare. The first was medium. The second was medium well. The third was rare. I will return, but wont order steak. Great drinks and service. Karen was our server and she was outstanding! We ordered several appetizers to share and everything was wonderful! Love it there! Our server was great, food was amazing, and THE RUM!!!! I had a business meeting here at a table. I could have requested a booth for more privacy but since our party was only two, the table was sufficient. 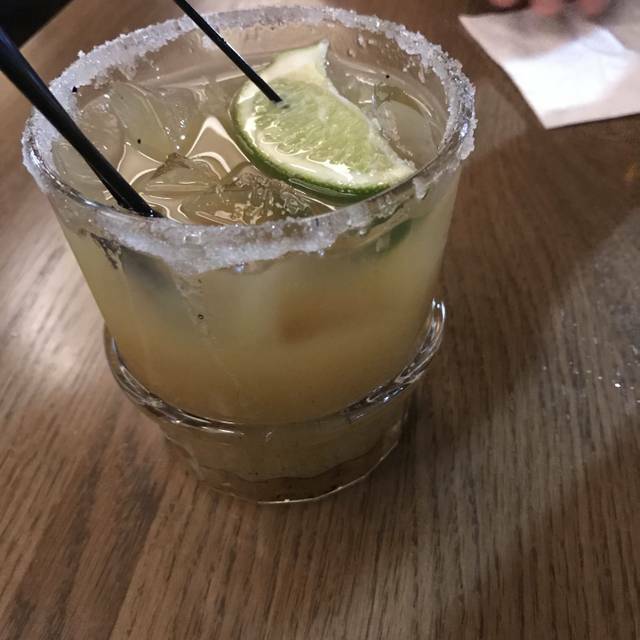 I tried the pineapple caipirinha because it sounded interesting and would be something different. The drink was very good. It was not as tart as a traditional caipirinha but the tartness of the pineapple was a nice variation. Our meals consisted of guacamole, blackened fish tacos, and roasted chicken empanadas. The food was good. I like this place for their drinks more so than the food. Drinks are their strong suit. Delicious food and great drinks. Loved our server Karen! Food was good but they appeared to be understaffed as we had to wait awhile for our server to check on us. Our glasses sat empty for awhile in between drinks as she was busy tending to other tables and making the drinks. Food was great though. 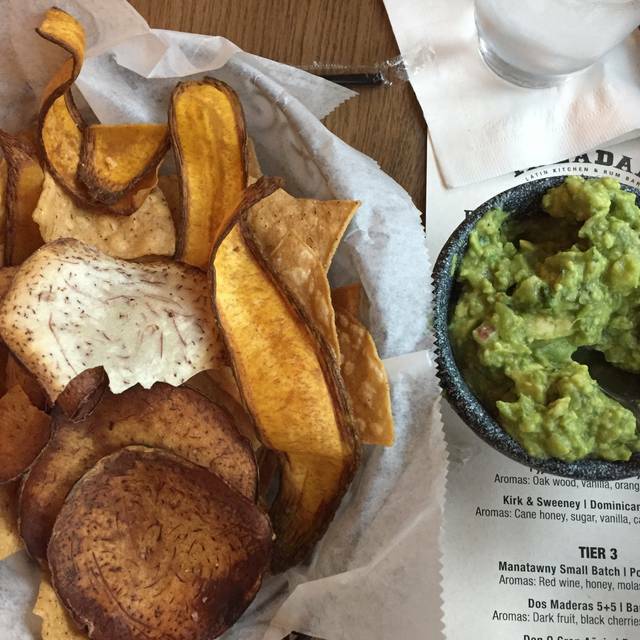 This is our second visit to Paladar in King of Prussia. Both times the food wasn't good. I was hoping we would like Paladar since we live close by, but the food was not worth the price or convenience. The food was excellent and the drinks. Our waiter was great also. We will go back. Service was absolutely horrible. Sat for 25 mins and no server had to go ask the hostess for help. And it still took another 10 mins. My reservation was at 12:30 did not see a server till 1:05. Ridiculous that it would take so long and she wasn’t even apologetic. We quickly ordered cause we had plenty of time to have reviewed the menu. Chips and salsa took another 15 mins, drinks came long after that and the food. And at 2pm!! This is an hour and a half after being seated. Food was cold and average at best. We had to chase someone down for another drink then for our check. I had the grilled chicken bowl. Tasty combinations. Liked the spice on the chicken. It was a good value for the amount of food. The noise level in the restaurant was loud at lunch time - 12:30. Did get better as crowd diminished. Waitress was very attentive and friendly. My companions did not like the bitter pineapple that accompanied the fish tacos, and they other did not like the pico de gallo in her bowl. We agreed on the pineapple. Also ordered guacamole and chips. That was very good. Nice fresh taste! Chips were excellent, not greasy! I would come again. Not certain about my dining companions. One of my favorite restaurants in the area! Fabulous cocktails and amazing food! nice place. good food with a cuban flair. wide variety of drinks and cocktails. Everything was absolutely delicious!! Our server was so gracious and had a permanent smile on his face! It was a wonderful evening! Enjoyed dinner here with friends from we hadn’t caught up with for a while. They’d never been to Paladar and thought it was a great choice. The food, drinks and service were excellent!!! Paladar is such a great place to eat and just have a nice evening! The staff is pleasant and their customer service is superb! Best queso fundido I have ever had. Always great food & service. Can't beat the HH prices too! We had a great meal on a Monday night! Even with my significant dietary restrictions, I had a fabulous, tasty meal of lamb burger and yucca fries. They wrapped my burger in lettuce, and swapped the yucca for their adobo fries The service was great, it was 6 pm, so a little early, but not loud at all. My son ordered a virgin blackberry-thyme mojito and raved about it. Highly recommend! I was not overly impressed. Food was just ok. We had 4 people in our party and all were disappointed with their food. 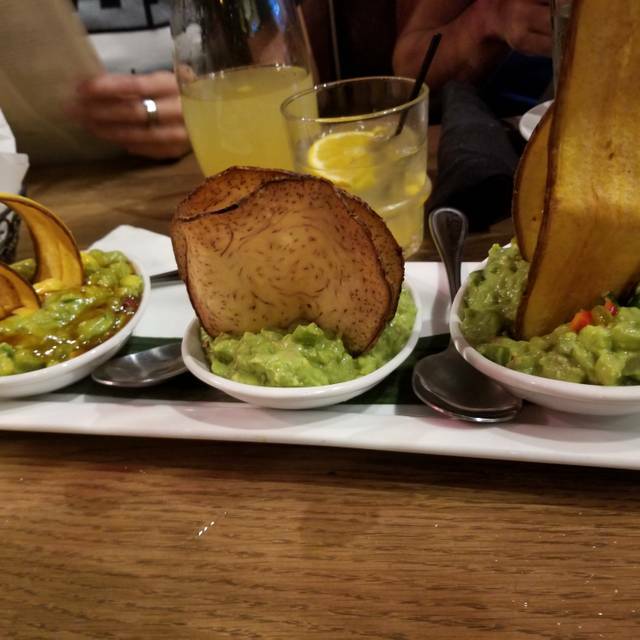 The guacamole was very good. Our waitress, Shaina, was mediocre. Twice we asked her for recommendations (food and drink). Both responses was 'I am not sure. I have never tried them.' We also asked for 2 checks, and we got 1. Most restaurants should couch wait staff on food and drinks since guests want recommendations. Big loss just in up-sale technique alone. Great food, excellent service, and a decent value. Will definitely go back. 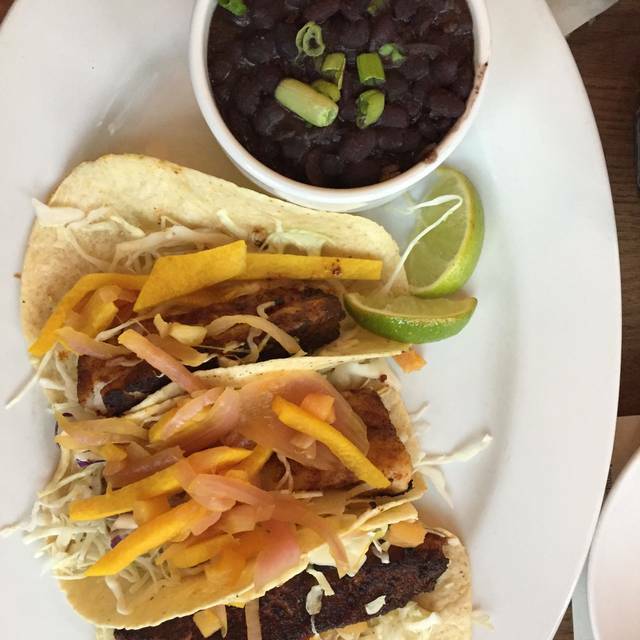 Visited during restaurant week to try them out, I wasn’t to impressed with the tacos but I am willing to try other menu items and get a better feel for them. It was very disappointing compared to previous dining experience there! The main reason I chose this restaurant was that I love mojitos, and I was not disappointed. The food was also delicious, but the service was underwhelming. Our waitress disappeared for extended periods of time, and I had to wait a long time to order my second drink. She did not come back to check on the quality of our food. I had to ask the manager for help. She was friendly but made no significant effort in service recovery. I enjoyed my experience overall, but for the price I would have expected a higher quality of service. One last thing that left me with a somewhat negative review was that when I opened my leftover container the next day I noticed they did not pack up all of my food. However, because the food was so good I’d be willing to give them another chance and would still recommend it. Our lunch was very enjoyable from cocktails to dessert. My wife had the Cuban sandwich which had thick slices of baked ham and was quite delicious. I had the huevos rancheros which hit the spot for me. For dessert, we shared the bread pudding...equal in deliciousness to any we have ever had. Service was spot on. Our only caveat is that parking could be an issue. We ordered the jerk chicken skewers and mojo pork to stones which were delicious. Entrees were pork shank and fiejoado stew with food left over for another meal. Went during restaurant week but didn't order off that menu but the options were still good. They also offered a menu for lent as well which I appreciated even though I wasn't observing. Our server was helpful without being annoying and the red sangria was a good deal and very tasty. I will definitely be back! We were able to get a table outside on a nice spring evening. Our server was attentive and friendly. All four of us enjoyed our meals and the portions were generous. The menu had a nice selection, as did the drink menu. I very much enjoyed my first but not last visit to your establishment. Loved your menu choices and was glad to see vegan choices. Waiter was great! Accommodated me, my date and my puppy. He did everything right and we were able to enjoy the day outside and our meals. The food was delicious as well like always. Good lunch but VERY loud - hard to hold a conversation without shouting. Food was great. The drinks were not very good, not well made. We were there for Restaurant Week. We were seated right away. The waitress came and introduced and then said "I'll be right back i have to clear a table". She came back and then took our drink and appetizer order. We waited about 10-15 minutes for the appetizers. We received our drinks about 10 minutes after the apps. The food was just ok. My wife's Skirt Steak was tough. Overall not a great experience. The food was almost cold and lacking in taste. I’ve been here several times and really enjoyed it but this time really left a lot to be desired. Very disappointed and hoping this was a fluke. Much better than the last time we were there. Food was very good.